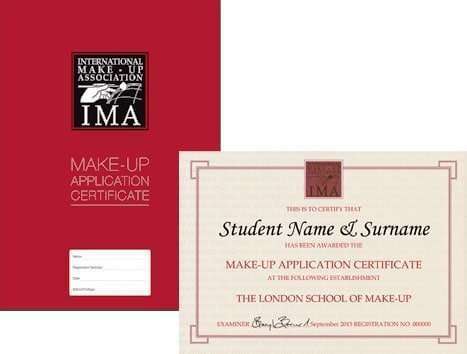 4 Week IMA Foundation/Fashion/Photographic Make-up. 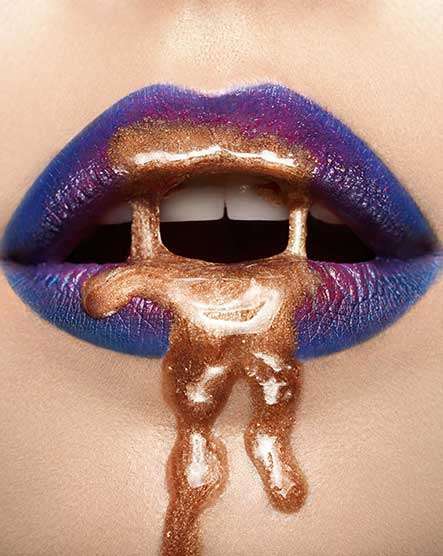 This course for those who are serious about a career in Make-up Artistry. 4 Week IMA Foundation / Fashion / Photographic Makeup. This is an exciting and intensive make-up course which incorporates the Two-week Foundation makeup Course from basic level through to bridal & special occasion make-up and the Two-week Creative Make-up Course, including the photographic shoot. We provide an excellent range of top make-up brands, skin care products and equipment. You will learn techniques and trends for catwalk (runway), television, film, and photographic make-up (for editorials etc. ), and understand the effect of lighting on make-up. You will have the opportunity to see how a professional Make-up Artist presents a portfolio, and receive advice on starting your own. On the course you will have one Studio Colour photo-shoot. for those who wish to become a professional Make-up Artist. You are only required to bring your own set of professional make-up brushes: (14 different brushes minimum) and In-Class Tool Kit. 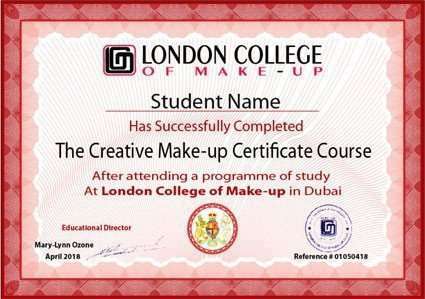 2- LCM Creative Make-up Certificate Course. During the course you will have one Studio Color photo-shoot with Professional Models. Teaching the high standards of working professionally in a studio environment. Portfolio Building (One Photo-shoots with Professional Models). 5 Days Full time course.